Eco friendly furnishing is very looked up by people who don't want to contribute at forest reclamations due to their civic values. For that, furniture designers come up with models of furniture made out of nonconformist materials such as fiber glass or polyurethane. Although they bring an attribute to nature's elements, the Amaki sofa and Lyla lighting from Odue creations don't look very natural to me. Odue designers have a way with nowadays technology, as they prove handling very well the process of bending materials and color combination. The Amaki sofa is simple and very minimalist in appeal. 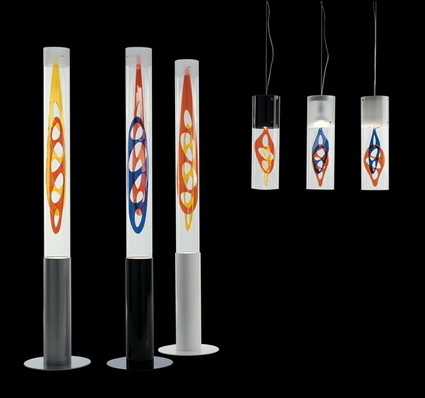 The Lyla lighting collection is based on mural elements which recall us of Earth's most important and primordial elements: water, fire, air and earth. Odue's furnishing and lighting collection are absolutely amazing as they manage to tight together any eco friendly environment.